Garage: "Garage: 1 Car Attached; Parking Space(s): 5"
LOCATION, LOCATION, LOCATION! - SIGNIFICANT UPDATES - FRIENDLY NEIGHBOURHOOD. 1129 Kaposvar Drive in Esterhazy is ready and waiting for you and your family. This 3 bedroom home featuring 1-4pc main floor bath and 1-2pc ensuite bathroom, is an open concept floor design with the kitchen, dining area and living room showing a wrap around design but yet, very open for quiet family evenings or conversational seating and get togethers. Ikea Kitchen cabinetry and countertops have been renovated in 2017 and is a stunning, updated feature to this prime property.Plenty of cabinet and counter space with garden doors to step out on the South facing deck. You will enjoy the insulated, attached car garage with 100 amp panel. The double paved drive offers plenty of parking space. In 2014 the upgrades were: shingles, half bath in basement, furnace, pex water lines, AC, flooring, doors, wood fireplace has new chimney & lining, . In 2013-PVC triple pane windows; 2016: roof on outside deck, insulation in garage, laminate in the bathroom, & tiling in 2 bdrms; 2017: water heater; 2018: insulated workshop, sub panel in garage.These renos are just to name a few updates to this home. Add your personal touches and make it your own! 1 1/2 attached garage, separate insulated workshop, 2 storage sheds, raised garden beds, covered deck in the back yard will be yours to enjoy. SK Power and SK Energy are not on an equalization plan - SK Power is $40/mo in summer and up to $100/mo in winter; SK Energy is approximately $100/mo. Make the call. Call your listing agent for more information and to set up your personal viewing. 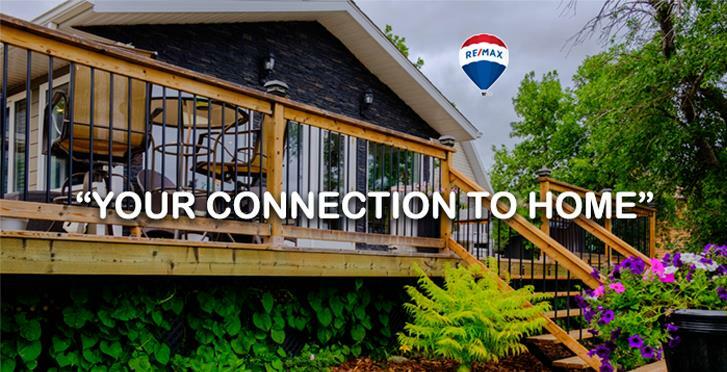 Make "Your Connection to Home". You won't be disappointed!